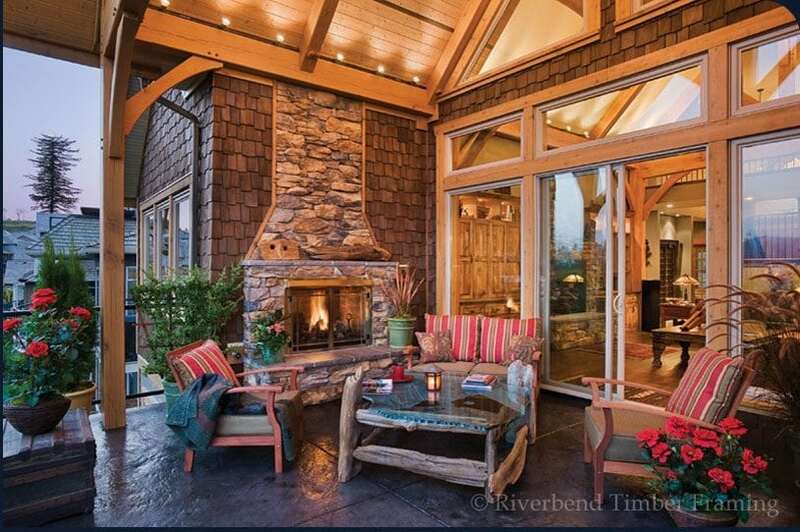 Perhaps you are someone who enjoys the elegance and architectural beauty of traditional timber framing, but building a 4,000 square foot home is something that is just not feasible for you. How do you decrease your timber frame floor plan’s square footage without sacrificing crucial spaces in your home design? Here are a few tricks of the trade to help you maximize your spaces with a smaller footprint. 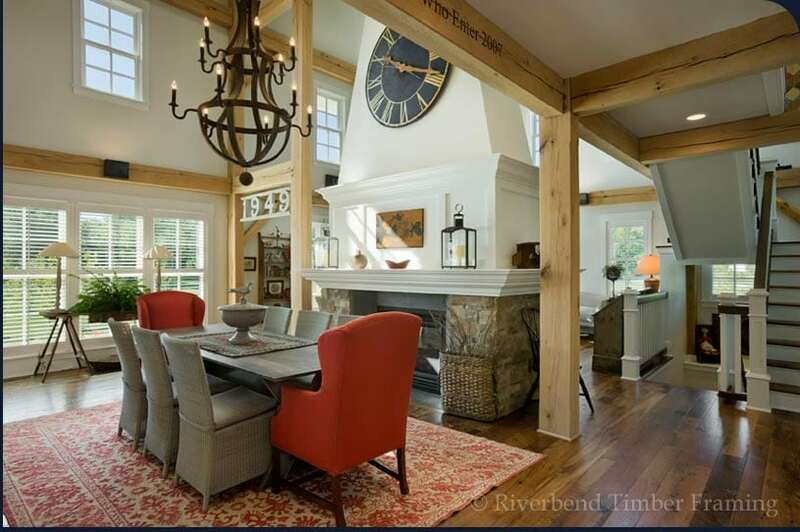 One of the signature features of a timber frame home design is the openness of the floor plan. Tall ceilings and minimal wall space in the main living areas can make any size floor plan feel open and large. In this style, rooms like the great room, kitchen, living room and dining room all flow into one another and create open areas instead of closed off rooms. If you would like a little more distinction than this, consider including nooks for sitting and dining areas to add dimension to your layout. Turning unused places in your floor plan into closet or storage space is also a great way to keep the high traffic areas of your home devoid of clutter. Rooms that serve multiple functions can also maximize your space. Perhaps another bedroom for guests or family is important but so is having an office; with different design features both functions are possible. For example, hideaway beds or built-in desk or storage features can create both of these. Several of our clients have also taken the garage or open loft space from a design they loved and converted them to spaces for media rooms, bars, libraries and game rooms. Depending on the location and climate of your timber home, utilizing the outdoors for additional room is a common way to achieve maximum living space. Include covered patios and porches for an open place to sit or dine. Sun rooms can also make a floor plan appear more spacious with their openness and abundance of windows without sectioning the area off from the rest of the home. No matter what size you plan to build your home, by working with your project architects, you can create a design that accommodates the necessities of your lifestyle.